A 2 percent tax on hotel stays along much of San Luis Obispo County’s coastline will remain in place for at least one more year and likely much longer. The tax is also collected at motels, vacation rentals and bed-and-breakfasts. In 2009, the SLO County Board of Supervisors created the SLO County Tourism Business Improvement District. 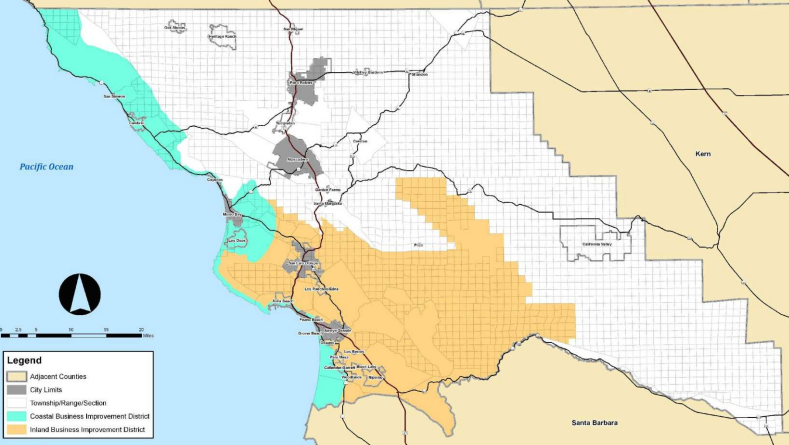 The district spans the entire county coastline, with the exception of the cities of Morro Bay, Pismo Beach and Grover Beach. It also includes most of southwestern SLO County. Since 2009, the tax has been in effect at all lodging facilities in the business improvement district. The tax raises about $1 million to $1.2 million annually. Federal government employees on official business trips are exempt from the tax, according to a county staff report. The business improvement district spends 50 percent of the tax revenue on marketing and promoting the entire area within its boundaries. Officials use the other 50 percent of the revenue to promote tourism in the local area from where the funds are collected. Every year, the tax renews unless the county receives written protests from business owners who account for at least 50 percent of the revenue the district collects. Only six business owners submitted protests this year. Each of those who submitted protests operate vacation rentals or homestays. Some of the protesters argued that hotel and motel owners want to impose the tax on vacation rentals, which they see as competition. Like most everything government does, bad for small business, good for govt expansion. Revisiting the lodging tax should come as a discussion to remove. Who cares about the few in number of protest letters, just because outsiders will have to pay is an ignorant justification. Government feeds themselves and that is why the proposed 1/2 cent Self Help Count sales tax is a bad idea they say they will retire it in 9 years…FAT CHANCE!!!! Overgenerous retirements and obscene perks for the organized-crime thugs of the public-sector unions. What? How do you reach that conclusion in regard to this article? You are right but I don’t see the connection here. The connection is that most taxes collected by the scum in government go to increasing the pay and facilities and overall expansion of government. Those who believe otherwise are fools.